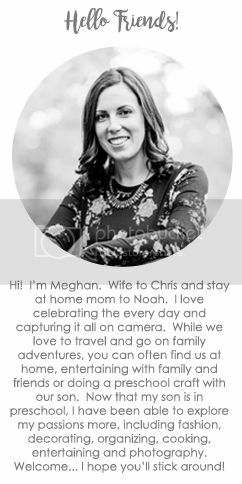 We love to entertain, whether it's having a bunch of friends over or just hosting a family meal. I especially love to entertain in the summer when we can eat outside on our deck. There's something about dining "al fresco" that makes everything a little more laid back and relaxed. But with that ease, comes a little extra cleaning... before AND after. 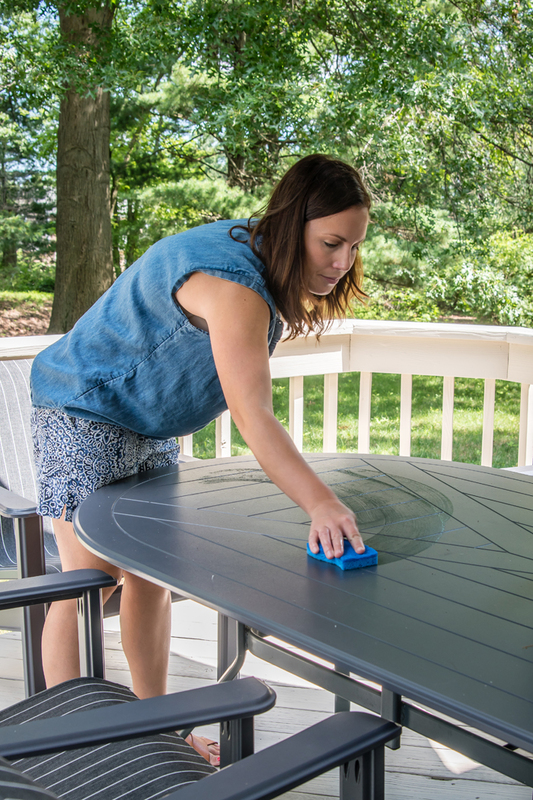 Because of all the trees surrounding our house and deck, the tables, chairs, and really any flat surface, always need to be cleaned. It doesn't matter if I wiped everything down that morning, a few hours later and there will be some leaves that have fallen or even a layer of pollen. So whenever we plan to spend time outside, especially when entertaining, I know I will need to give the table and chairs a good scrub. I grab my Scotch-Brite® Non-Scratch Scrub Sponge, a little bit of dish soap, and some water from the nearby hose and start wiping down all the surfaces. Because the sponge is non-scratch, it's perfect to use on countertops (and my deck furniture!). Once all the surfaces are clean, I set the table. 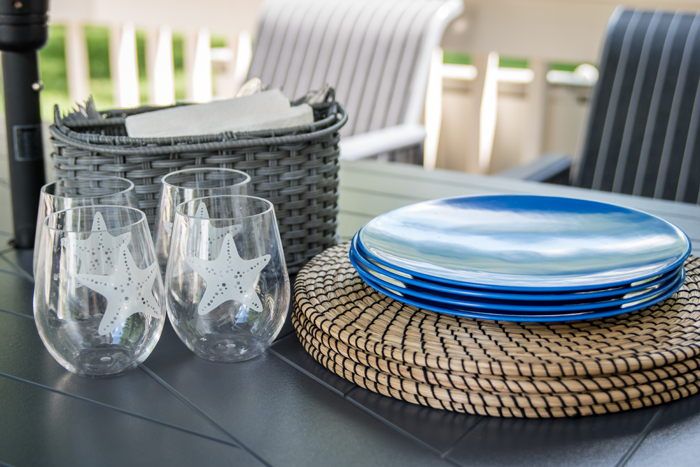 To me, summer entertaining is all about keeping it casual, so I like to just stack my placemats and plates, put out melamine glasses and a basket full of cutlery and napkins, and let everyone grab what they need. Next up, I make sure Noah is entertained. 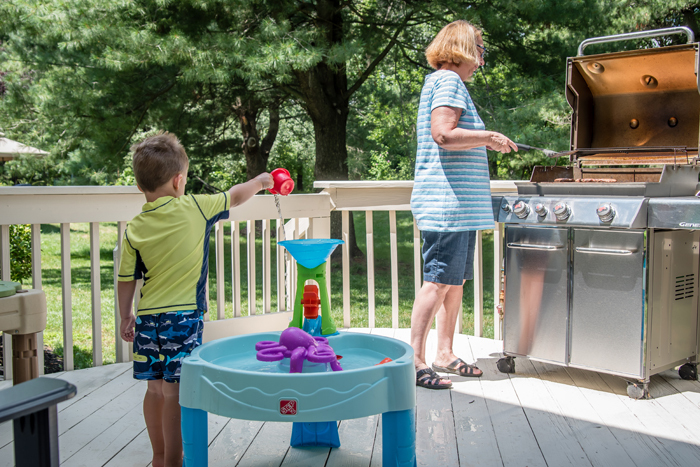 I want to keep him occupied while we are grilling and prepping the sides and also give him something to do when he inevitably finishes his food before the rest of the adults. The water table fits the bill perfectly on a hot sunny day. But anyone with a water table knows how slimy and dirty they can get, even with a cover. 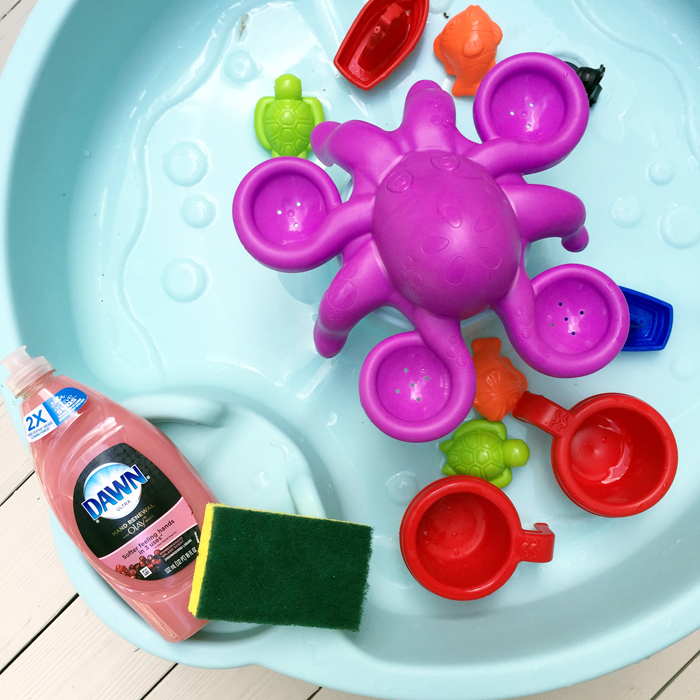 To keep it nice and clean, I take a Scotch-Brite® Heavy Duty Scrub Sponge and a little bit of dish soap, and clean out the water table and all the toys. The heavy duty sponge is not only great in the kitchen on baked-on messes, but is also great for outdoor use... it cleans tough messes 50% faster! One of my favorite parts of summer entertaining is the food. 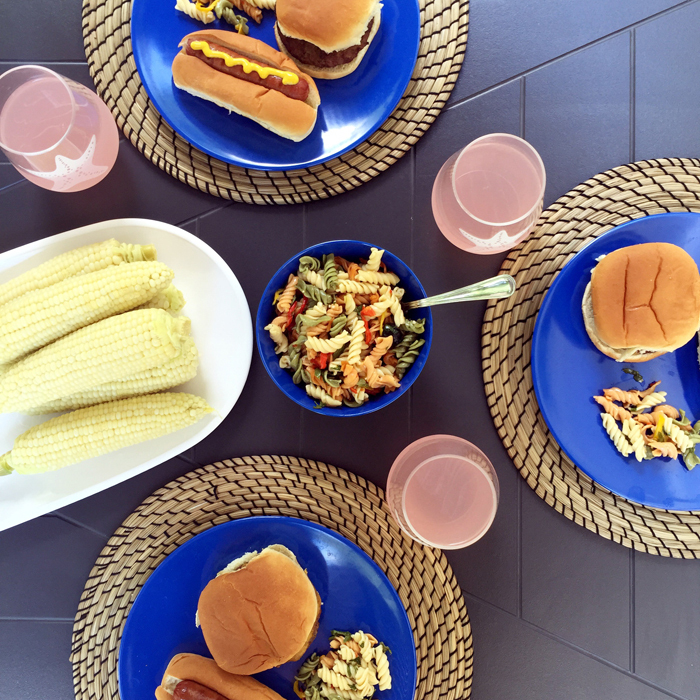 I'm such a fan of hamburgers and hot dogs from the grill, a simple pasta salad, and some fresh corn on the cob! Everything is so easy to make and yet so delicious! 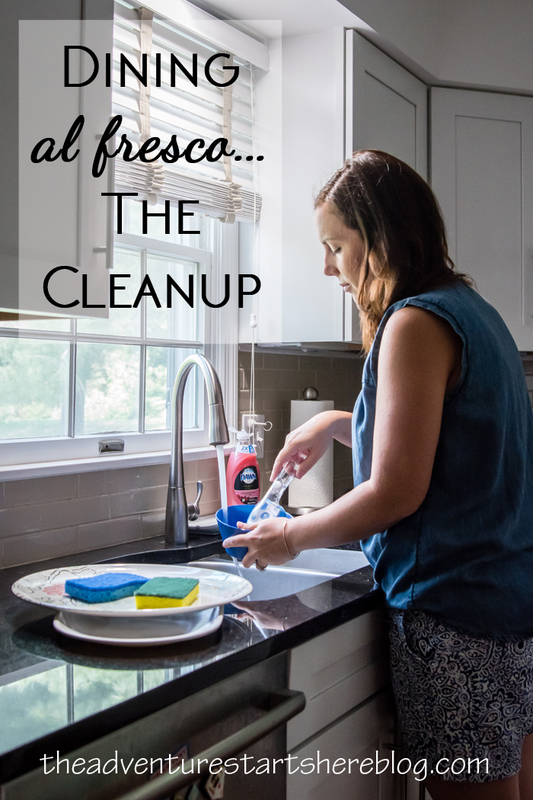 After all the food has been eaten and your guests have gone home, it's time to clean up. While clean up isn't my favorite, having the right tools definitely makes it better! First up, I load the dishwasher with all the machine washable plates and throw out all the plastic utensils (so much easier than using real forks and knives!). I then get to work cleaning the platters, pots, and grilling tools. 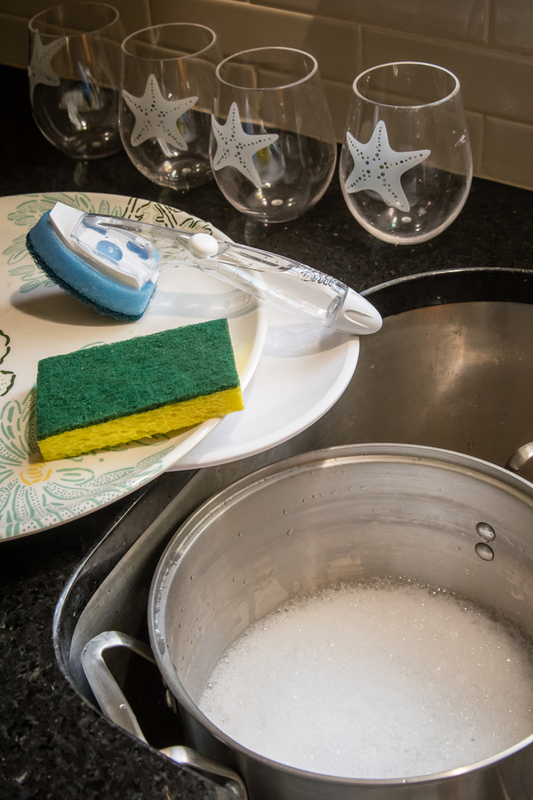 I personally love using a dishwand when washing dishes, and the Scotch-Brite® Non-Scratch Soap Dispensing Dishwand is perfect for my platters, cups, and my non-stick cookware. The heavy duty sponge is perfect for getting the grill spatula and tongs sparkly clean! Since you can find me wandering around Target on an almost weekly basis, I doubt it's a shock that I got everything I needed there. From the food and pretty serving platters, to all the cleaning supplies, it really is a one stop shop! I was really impressed with the huge selection of Scotch-Brite™ Brand sponges they carried... there was literally a sponge for every purpose you can think of! Just remember, green means heavy duty and blue means non-scratch! 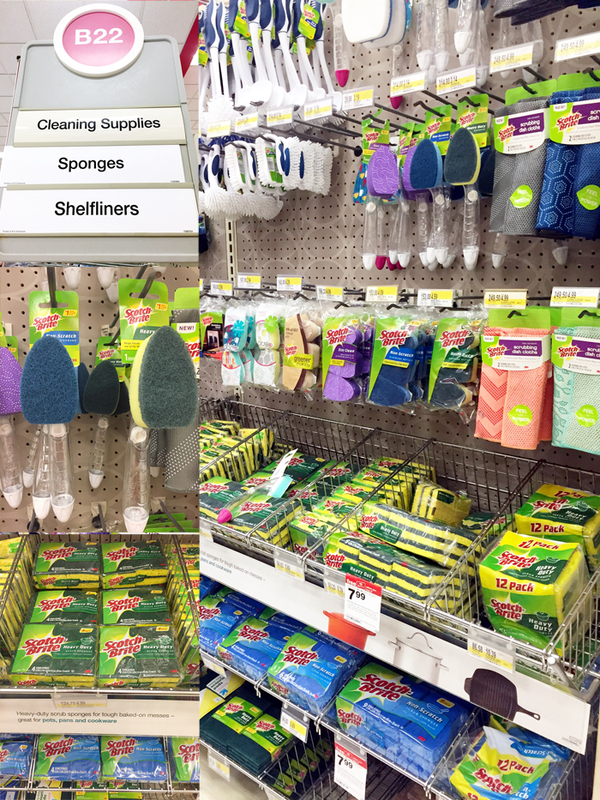 Save now on Scotch-Brite® Scrub Sponges at Target with this Cartwheel offer. So tell me, how do you prepare for summer entertaining? Check out how other bloggers have used their Scotch-Brite Scrub Sponges. Hey campaign buddy :). We seem to make a habit out of this. These sponges are so great and handy. 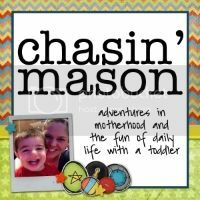 I bet Noah would love scrubbing his water table with the dishwand! I use sponges on everything in our kitchen. I like that I have the soft and hard side to clean with. We love summer BBQs too! I usually put Keith and Owen in charge of cleaning the back yard and then I get out there and tidy up a bit when they're done. Owen loves to use our sponges to scrub his pirate ship and his little tikes car! I love your backyard! 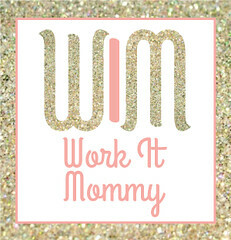 And we always get out the water table when grilling, it makes for a happier time for everyone! Eating outside is my favorite! You have the perfect set up! Your deck area is so dreamy and perfect for entertaining! We hope to build one on our property in the future!